From classified financial data to personal personnel information, all businesses have confidential documentation they need to keep safe. However, when the documents are no longer needed, it is the company’s responsibility to safely dispose of them. Failure to do so correctly could expose customers, suppliers and employees to identity theft - which is why the secure destruction of confidential documentation is a must for any business. At The Maltings Document Storage Solutions, our fully trained team have been providing a secure and confidential waste destruction service to a large number of organisations across South Wales since 1980. We pride ourselves on delivering a professional and personable service at a competitive price to each and every one of our clients whilst ensuring we comply with data protection and waste legislation. The Maltings are registered Waste Carriers with Natural Resources Wales (Registration Number – CBDU9107) and all staff are fully trained and enhanced DBS checked by Disclosure Scotland. 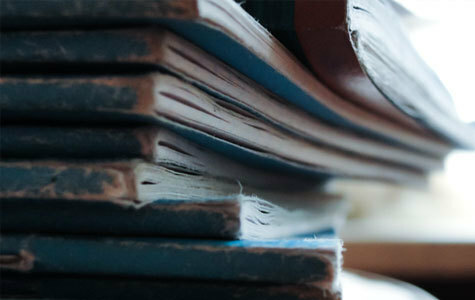 Confidential documents are collected by one of our fully trained and DBS checked members of staff. The documents are then transported in one of our secure service vehicles which are constantly monitored utilising our vehicle management system, Quartix. 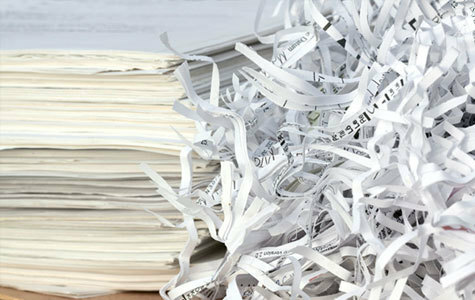 Documents are then safely shredded off-site and reliably recycled. We provide a full audit trail for all confidential waste requirements which is strictly adhered to at all times, and, following a written instruction, a collection and waste transfer note is raised and duly signed by the authorised individual upon collection. Once the hassle-free service has been completed, we will supply a certificate of destruction for your records - as well as your peace of mind. The Data Protection Act 1998 lays out the terms for all businesses in the UK on how they should store, use and dispose of personal information. Failure to comply with the law can result in a £500,000 fine. If you’d like to know more about securely disposing of your sensitive corporate documents get in touch today.